It’s December everybody, which means this is one of the most important membership meetings of the year as we will be holding the election to determine who will hold the officer positions for your Cascade Blues Association’s Board of Directors. Make sure that you bring your current membership card to receive a ballot to cast your choices. Aside from this once-a-year occurrence, we’re still going to have a night filled with friends and music, and we’ll be offering two sets featuring acts that we are sure to both entertain you and surprise you. And yet there is something else that is truly special about this month. It is the CBA’s 30th anniversary, noting the month that the original founders filed papers with the State creating the organization as a non-profit business promoting, supporting, and preserving the blues and blues-related music. Thanks to all of you for helping keep the CBA alive for all these years. 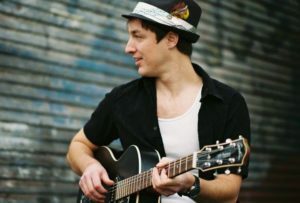 Opening the meeting will be a set by David Brothers, a critically acclaimed entertainer and composer, who combines urban folk and blues to create a sound distinctively his own. Playing his original material, David mixes the influences of John Coltrane, Freddie King, Muddy Waters, Django Reinhart, and John Fahey in his technique, style, and approach. He first began performing professionally as a teenager in Fort Worth, Texas, inspired by the likes of Leon Rouche (Bob Wills & The Texas Playboys) and Dave Milsap (Delbert McClinton’s band). 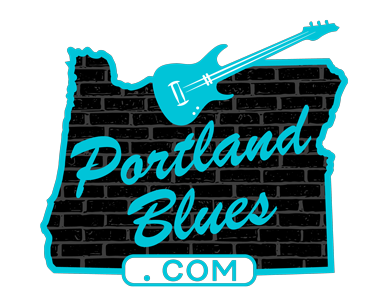 Following his move to Portland, Brothers was the recipient of the Cascade Blues Association’s Christopher Mesi Memorial Scholarship. Brothers has performed with many of the Pacific Northwest’s most elite musicians and has released several solo and group albums over the years that have earned praise by critics, DJs and fans. Joining David Brothers for his set will be bassist Rob Busey, who has worked over the years with acts like the Ken DeRouchie Band, Al Perez, and The Newport Symphony. He has also performed with Miss America Katie Harman, Tommy Tutone, Judy Collins, The Vancouver Symphony and The Oregon Chambers Players. Busey’s rock solid bass work will surely enhance Brothers exquisite guitar playing. For the second set of the night we welcome a newer act in the area, The Pining Hearts. They are a psych-rock band out of Portland, OR and Austin, TX featuring Kivett Bednar from Land of the Living and more recently Rae Gordon & The Backseat Drivers alongside Eddie Steele from the progressive funk band Entendre Entendre. The pair started jamming in late 2015, and The Pining Hearts officially became a band in March of 2016. The group has appeared at the Alberta Street Pub and Twilight Cafe to sold-out crowds. The originals coming out of the group are rhythmic and upbeat, but in the same breath have a dark surf vibe that leaves you thinking of the ocean at night. Yet you also know that with Bednar’s background there will be a deep bluey approach as well. The group is currently working on a new EP that is scheduled for release in early. We’ll do our regular give-aways, announcements and winner-take-all CD raffle throughout the night, and before everything is over we’ll let you know who your new officers will be for 2017. Please join us in the very exciting night. It is always so much better when we have so many friends and blues fans with us every month.